Black And Decker NO 80-100 Replacement Mower GRASS BAG Sealed New Condition! Black & Decker 80-002 Electric Replacement Mower Blade, 14"
Material: Rubber Foam. Genuine OEM Black & Decker Product. NEW Black & Decker Lawn Mower Blade 19"
Fits 19" Black & Decker mowers models MM850 CMM1000 CMM1200 and others that take part # MB-850. Genuine OEM Replacement Part # MB-850 Consult owners manual for proper part number identification and proper installation Please refer to list for compatibility . Black and Decker Models: SPCM1936, CM1936 Type 1, CM1936 Type 2, SPCM-1936, CM-1936 Type 1, CM-1936 Type 2. 19" Length. Genuine OEM Replacement Part # 241125-00 Consult owners manual for proper part number identification and proper installation Please refer to list for compatibility . BLACK & DECKER. Black and Decker. LM1820 Type 1 18 Electric Lawn Mower. 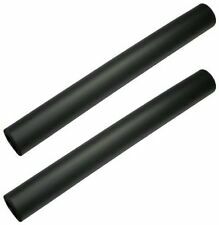 8019 Type 1 18 Lawn Mower Flipover Handle. M200 Type 2 Flip Over Handle Mower. M200 Type 3 Flip Over Handle Mower. M200 Type 4 Flip Over Handle Mower. Genuine OEM Replacement Part # MB-850-2PK Consult owners manual for proper part number identification and proper installation Please refer to list for compatibility . Black & Decker Part Numbers: 90548199. 19" Length. Genuine Black & Decker Mower Blade Insulator. Fits Many of the B&D Mower Models as Well as Craftsman. We are an Authorized Warranty and. Parts are Backed by The Manufacture's Warranty. Wewill be happy to assist you in finding your correct part(s). Black & Decker. Genuine, OEM Black & Decker blade clamp, part# 582593-00. Genuine, OEM Black & Decker parts. (1) Blade Clamp. Porter Cable. Genuine OEM. Here to Help. On all U.S. Orders in the lower 48. Genuine OEM Replacement Part # 241381-01 Consult owners manual for proper part number identification and proper installation Please refer to list for compatibility . I have 2 of the SPCM1936s and am disassembling one of them - this key was just tested and working. 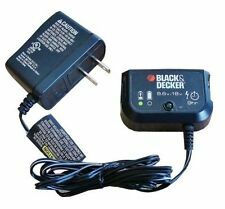 GH700, GH-700OUR PLEDGE TO YOU Genuine OEM Black and Decker Product. Includes (2) Spool Covers as picturedItem Specifications. New blade in box. has 913 also on blade. Part Number 90589746. Genuine OEM Black and Decker Product. BLACK & DECKER. PORTER CABLE PARTS. feature and select the ?. button at the top right of your first item. Why Repair?. Here's how we go green: We save you money. It doesn't get much greener than that. Genuine OEM Replacement Part # MB-1200 Consult owners manual for proper part number identification and proper installation Please refer to list for compatibility . BLACK & DECKER. Black & Decker, Craftsman, DeWalt. Black and Decker. 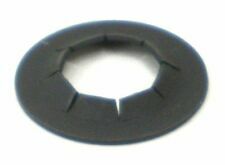 INSULATOR BLADE 241381-01 for. The purpose of the 241381-01 Blade Insulator. NAIL GUN KITS. with the blade and to eliminate vibration. Compatible with CM1936 Type 1, CM1936 Type 2, CM1936Z Type 1, CM1936ZF2 Type 1, CMM1200 Type 3, CMM1200 Type 4, SPCM1936 Type 1. CM1936 Type 1, CM1936 Type 2, CM1936Z Type 1, CM1936ZF2 Type 1, CMM1200 Type 3, CMM1200 Type 4, SPCM1936 Type 1. Black and Decker MC-001 Grass Catcher Bag. Condition is New. Shipped with FedEx Ground or FedEx Home Delivery. 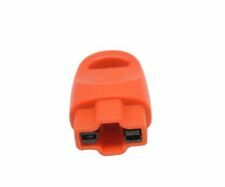 Compatible with MM450 Type 1, MM450 Type 2, MM525 Type 1, MM525 Type 2, MM525 Type 3, MM525 Type 4, MM600 Type 1, MM600 Type 2, MM600S Type 2. MM450 Type 1, MM450 Type 2, MM525 Type 1, MM525 Type 2, MM525 Type 3, MM525 Type 4, MM600 Type 1, MM600 Type 2, MM600S Type 2. 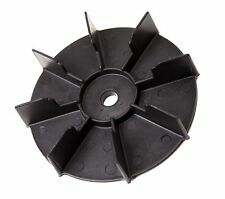 Black & Decker LM-346 Lawn Mower Grass Catcher. Condition is New. Shipped with FedEx Ground or FedEx Home Delivery. Here are a good used original 24v motor, cordset assembly and switch key (with all attaching bolts) that were removed from a good running Black & Decker CMM1200 19" cordless electric lawn mower. This sale will include everything you see in the pictures and at the least the following Black & Decker CMM1200 parts and part numbers. Compatible with CM2040 Type 1, CM2043C Type 1, CM2045 Type 1, CM2060C Type 1, MM2000 Type 1, MM2000 Type 2. CM2040 Type 1, CM2043C Type 1, CM2045 Type 1, CM2060C Type 1, MM2000 Type 1, MM2000 Type 2. Black & Decker. Black & Decker. Genuine, OEM Black & Decker switch, part# 681064-01. 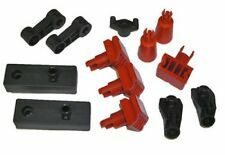 Genuine, OEM Black & Decker parts. Why replace it when you can fix it?. Genuine OEM. On all U.S. Orders in the lower 48. Need more parts?. Fits Poulan models 917279760, DPR20H46STA, DPR20H46STB, HDC185H46A, PPR20H46STA, PRGT2046A, PRGT2046B, PRGT20H50A, PRGT20H50B, PRGT22H48A, PRGT22H50B, PRGT22HC, PRGT22H50D. 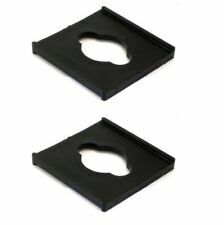 (4) USA Mower Blades® Replaces Black and Decker 905541433. Blade Type: Mulching. For certain Black and Decker® lawn mowers. Center Hole: 1 in. as the topic. We would deeply appreciate your patience and understanding in this matter. NEW Black Decker Lawn Mower Grass Catcher Bag & Frame 14.25 x 11 x 20.5. Shipped with USPS Priority Mail. 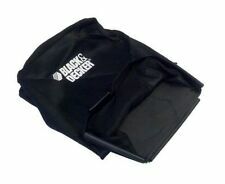 Black Decker Lawn Mower Grass Catcher Bag & Frame 14.25 x 20.5. Shipped with USPS Retail Ground. CM1936 Type 1 36V 19in Mower. CM1936 Type 2 36V 19in Mower. Blades may have scuffing / scratches / paint loss / tape or sticker residue from storage. Check your owners manual or old blades to make sure these work for you. CMM1200 Types 1 & 2 24V Cordless Mulching Mower. CMM1200 Type 3 lawn mower. CM1836 (Type 2) 18" cordless mulching rear bag mower. CM1936 Type 1 & 2 36V 19in mowers. CM1836 Type 1 36V 18in mower. It has an adjustable height deck (2 settings) for ideal cutting height. It also features a wall hanging option to make storage much easier when not in use. This mower deck is ideal for smaller sized yards (ideal for properties up to 700 sq. feet) and also great for inclines or areas difficult to mow with standard mowers. Genuine OEM Black & Decker Mower 20" Mower Blade. Black & Decker: MM2000 types 1 & 2, CM2040 type 1, CM2043C type 1, CM2045 type 1, CM2060C type 1. Craftsman: 900.98820. We have a Large Inventory of Power Tool Parts Available. Genuine OEM Replacement Part # 5140161-49 Consult owners manual for proper part number identification and proper installation Please refer to list for compatibility . Includes One (1) Workmate Starter Bag with Swivel Pegs as picturedItem Specifications Genuine OEM Black & Decker Product. Compatible with 37052 Type 2, CM1836 Type 1, CM1836 Type 2, CM1936 Type 1, CM1936 Type 2, CM1936Z Type 1, CM1936ZF2 Type 1, CMM1000 Type 1, CMM1000 Type 1, CMM1000 Type 2, CMM1000 Type 2A, CMM1000 Type 3, CMM1000 Type 4, CMM1000 Type 5, CMM1200 Type 1, CMM1200 Type 2, CMM1200 Type 2A, CMM1200 Type 3, CMM1200 Type 4, MM1800 Type 1, MM1800 Type 2, MM850 Type 1, MM850 Type 2, MM850 Type 3, MM850 Type 4, MM850 Type 5, MM850S Type 4, MM875 Type 1, MM875 Type 2, MM875 Type 3, SPCM1936 Type 1. Also fits models:?. 37052, CM1836, CM-1836, CM1936, CM-1936, CM1936ZF2, CMM1200, CMM-1200, CTL36, CTL-36, SPCM1936, SPCM-1936, 37052 Type 2, CM1836 Type 1, CM1836 Type 2, CM1936 Type 1, CM1936 Type 2, CM1936ZF2 Type 1, CMM1200 Type 2, CMM1200 Type 2A, CMM1200 Type 3, CTL36 Type 1, SPCM1936 Type 1. Genuine OEM Replacement Part # 242381-00-2pk Consult owners manual for proper part number identification and proper installation Please refer to list for compatibility . Part No: 90530033. Genuine, OEM Black & Decker KEY, part# 90530033. 37052 Type 2, CM1836 Type 1, CM1836 Type 2, CM1936 Type 1, CM1936 Type 2, CM1936Z Type 1, CM1936ZF2 Type 1, CMM1200 Type 2, CMM1200 Type 2A, CMM1200 Type 3, CMM1200 Type 4, SPCM1936 Type 1 CTL36 Type 1. 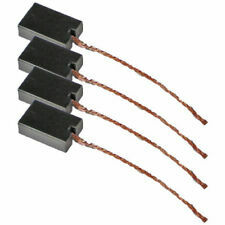 Compatible with EM1500 Type 1, EM1500 Type 2, EM1500 Type 3. EM1500 Type 1, EM1500 Type 2, EM1500 Type 3. Black & Decker. Genuine, OEM Black & Decker parts. Genuine OEM. Save Money. Experts are standing by to help you. Genuine OEM Replacement Part # 90541433-01 Consult owners manual for proper part number identification and proper installation Please refer to list for compatibility . Fits many DeWalt, DeVilbiss, Porter Cable, Makita, Sears, Ex-Cell, Black & Decker, Delta models. Porter Cable: C3150, C3151 Type 0, CPF23400P Type 0-3, CPF23400S Type 0-4, CPF4515 Type 0-4, CPF6020 Type 0-3, CPF6025VP Type 0-1, CPFFR350 Type 1, CFFC350A Type 0-1, CFFC350B Type 0-1, CFFC350C Type 1, CFFR350B Type 1, CFFR350C Type 1, C5100 Type 1, C5101 Type 0, CPF6020-W Type 0, C6110 Type 0, C2150 Type 0-1, C3101, C3150 Type 0-1, C3151 Type 1-2, CF1540 Type 0, CPF23400S Type 2.